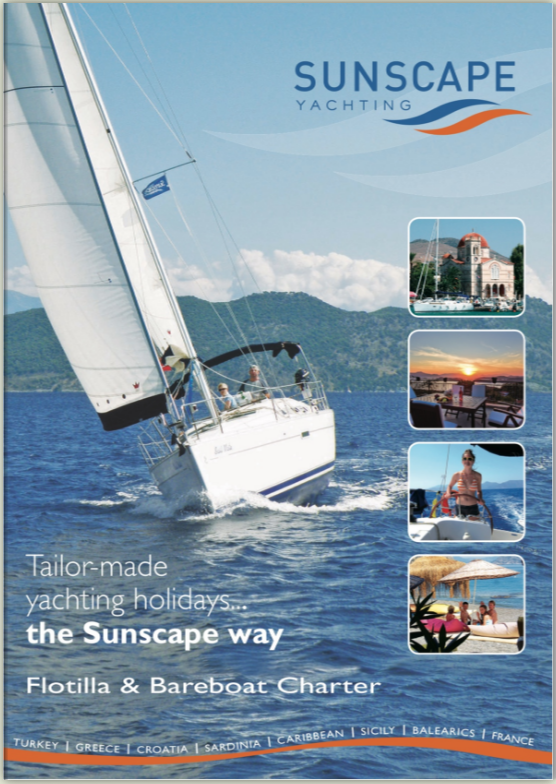 Sunscape Yachting have some fantastic Sailing Deals and Special Offers for bareboat charter and flotilla sailing holidays at numerous sailing destinations in Turkey, Greece, Croatia, Italy, Spain and the Caribbean. We are constantly reviewing our prices to ensure they remain highly competitive and offer excellent value on all bareboat and flotilla holidays. If you don't find quite what you are looking for and want to hear about other sailing holiday offers then please do give us a call. BOOKING early ensures a greater choice of yachts and flights. It secures the holiday of your choice for the lowest possible price, it provides a great feeling of anticipation for that holiday later in the year. In Turkey we offer a great selection of yachts to sail on Bareboat or on Flotilla. Turkey last Summer proved to offer the BEST value holiday. Early Booking Offers Now Available. See our Sunscape Selection. OR find your yacht using our Quick Search App. Big savings of up to 30% on May and early June dates sailing the Dalmatia Flotilla from Zaton and ask for offers on the Dubrovnik & Montenegro Flotilla from Dubrovnik.